You open your credit card statement. To your surprise, you find your rate went up. Just like that. Your credit status hasn’t changed (you keep a close eye on your credit score). So, you think that it must be a terrible mistake. But wait! Before you call your financial institution to defend your good name and give them a piece of your mind, put your phone down. It’s not their doing. That’s right – Some Other Dude Did It. And the other dude, in this case, is The Federal Reserve, aka The Fed. The Fed is the central bank of the United States, chartered to provide the nation with a safe, flexible and stable monetary and financial system. It is considered the most powerful financial institution in the world. So, why is this behemoth messing around with something as trivial as your credit card rate? Don’t they have better things to do? They do and your credit card rate is a small piece in a much, much bigger picture. 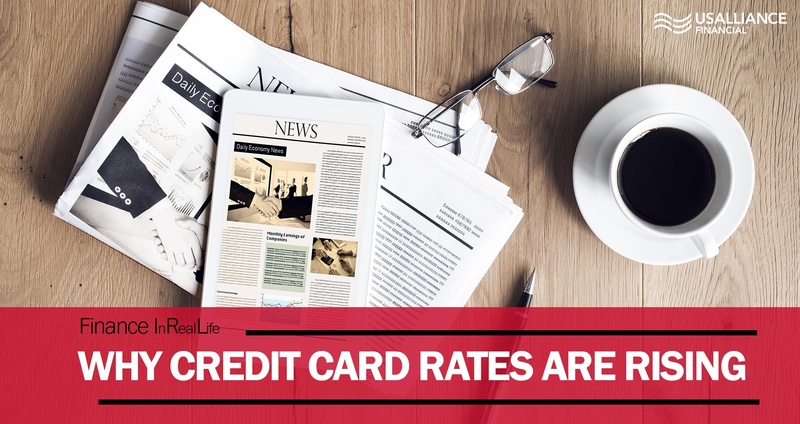 To understand what happened, you first need to know something about credit card rates. They’re variable. That means that they can change. They can go up or down. Your rate consists of 2 components – an index (not controlled by the card issuer) plus a margin (determined by your creditworthiness). The index, used almost universally, is the Prime Rate. The prime rate is the rate large commercial banks charge their best corporate clients for loans. Most card issuers index to the rate published in the Wall Street Journal which is the prime rate posted by 7 of the 10 largest U.S. banks. So, where does The Fed come in? The prime rate is closely tied to the fed funds rate, hovering a few percentage points above it. The Fed sets the fed funds rate and uses it to help keep the U.S. economy on an even keel. The Fed will raise the rate when the economy is growing to help keep a lid on inflation. In a down economy (like the Great Recession) it will lower the rate to stimulate growth. The fed funds rate and the prime rate move in unison. If the fed funds rate goes up 0.25% (like it just did) so will the prime rate. As will your credit card rate. Think of it as a domino effect. The Fed raises the fed funds rate. In turn, the large banks raise the prime rate. This prompts an increase in credit card rates. That’s how the Fed did it to your credit card rate. And they are going to do it again. And again. And maybe even again. Jerome Powell, The Fed’s Chairman, has signaled that there will be 2 more fed funds rate increases, possibly 3 more in 2018. The good news is, if you don’t carry a balance on your card, then it doesn’t affect you. But if you do, bad news - you’re going to pay more. And if you have multiple cards, each with a balance, then you’re going to be paying a lot more. Pay off your credit card debt. Examine your budget for ways to cut expenses in non-essential areas and reallocate those funds to your credit card payoff. If you have any spare cash on hand (for example, your tax refund), put it to work. If you dip into savings, remember to leave your emergency fund (3 months of essential living expenses) untouched. Consider a debt consolidation loan. If you have multiple cards carrying balances, a debt consolidation loan may be the way to go. A debt consolidation loan will combine your credit card balances into one loan. And unlike credit cards, debt consolidation loans are fixed rate products. Your interest rate will remain the same for the entire term and you’ll only need to make one monthly payment. Transfer your balances to a new low-rate credit card. True, transferring your balances to another credit card will not shield you from the rate-increasing activities of The Fed. But by shopping around you may find a card with a lower interest rate that will help ease the burden. 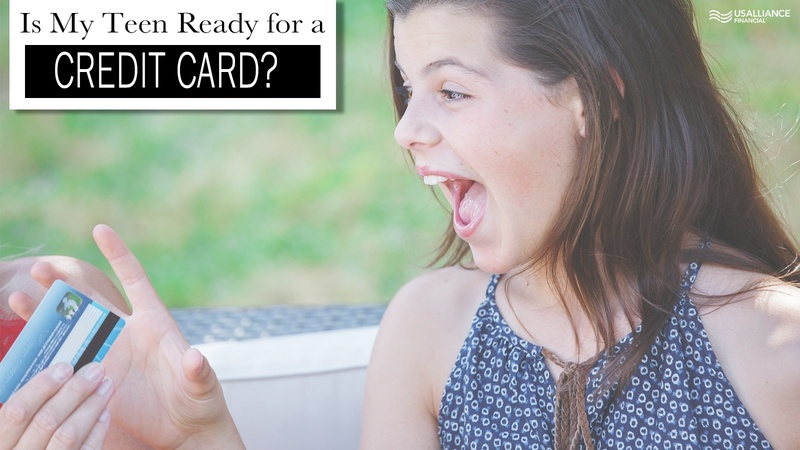 And if you have excellent credit, you may be able to qualify for a card with a special low introductory rate. Introductory rates are fixed for the promotional period, which could last anywhere from 6 to 24 months. If you do score an intro rate, use the promotional time to aggressively pay down your balance. USALLIANCE offers low-rate debt consolidation loans in a wide range of terms to fit any budget. Learn more. The USALLIANCE Visa® Classic Credit Card has one of the lowest rates in the marketplace. Plus, there’s no annual fee and no penalty rate. Click here to get pre-qualified in 2 minutes with no impact to your credit score.